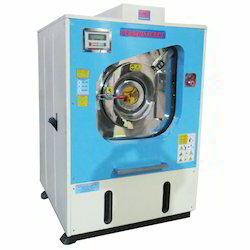 Dry cleaning Machine, MTO, Front Loading, Open Pocket with Low spin Extract & Built in Solvent Filter, Automatic. - Stainless Steel inner cylinder & stainless steel loading door. - Automatic cycle time. Adjustable reverse-forward time. - Continuos MTO solvent filter for reuse. Rama 212 is a dry Cleaning Machine consists of a four in one system that dry Cleans, extracts, stores and filters. The pressure filter system enables a clean oil flow throughout the process providing a super deluxe finish to the garments. 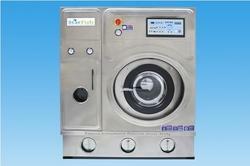 Backed with advanced technology, we provide a comprehensive range of Perc Dry Cleaning Machines. Tested at every stage of supply, our range is known for its peak performance and high efficiency. These are presented in the competitive markets at the negotiable prices to suit the pocket of our clients. Twin Topper Drycleaning Press. Pneumatically Operated. Steam Heated. - These features allow to have very low energy consumption. - Machines star whites offer a filtering/distillation system which has been specifically planned for improving the dry cleaning quality.